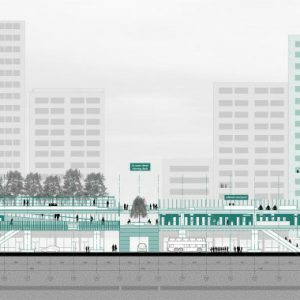 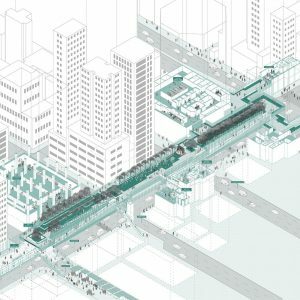 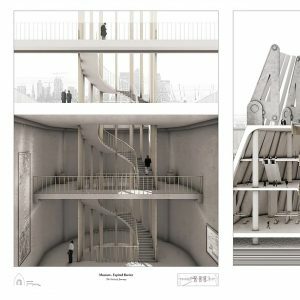 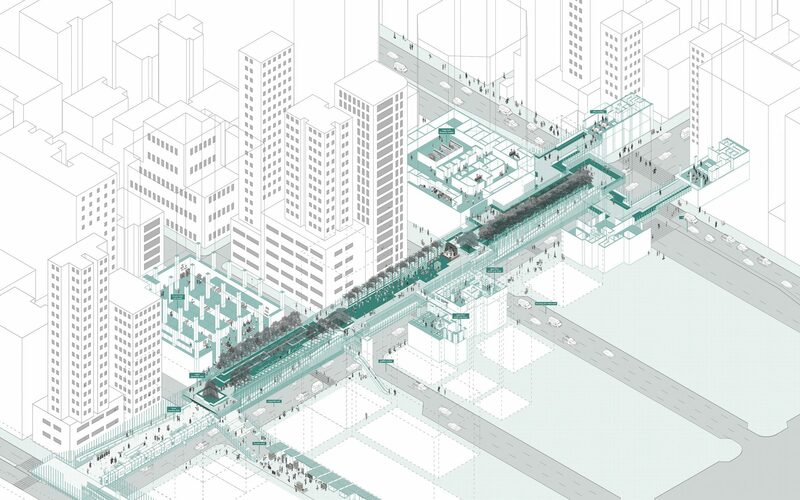 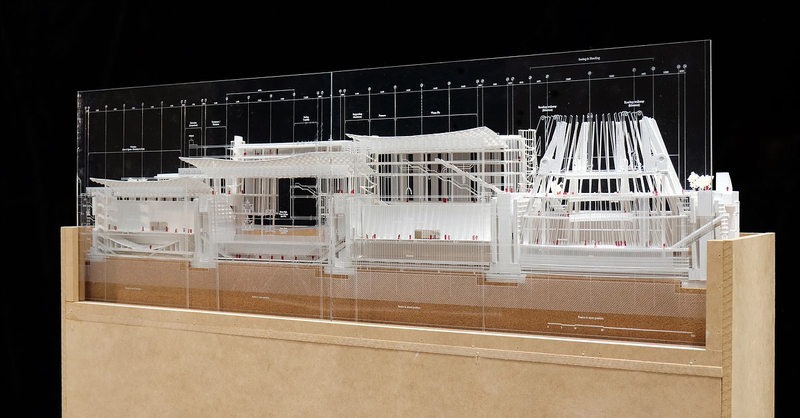 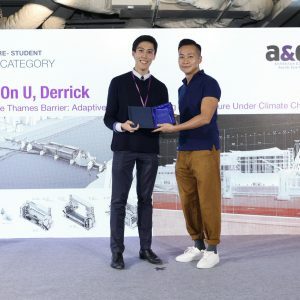 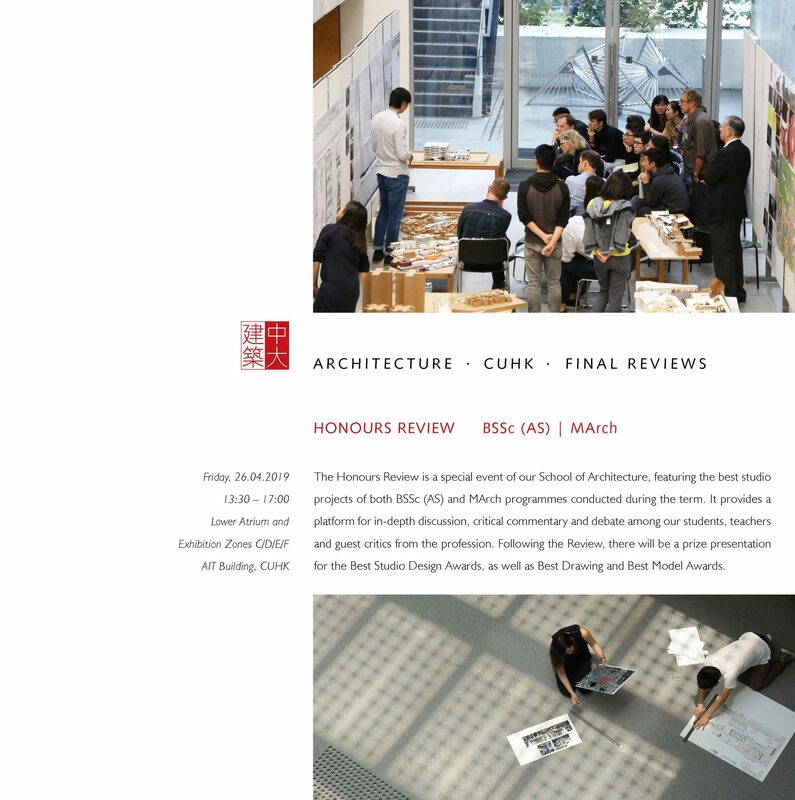 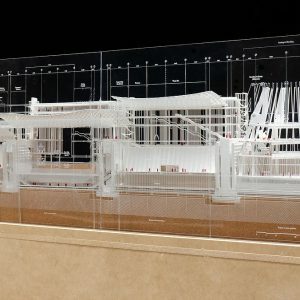 This year, the A&D Trophy Awards present three prizes in the Student Category for Architecture and two of them go to CUHK architecture graduates: Derrick Leong (MArch 2018) is the Best Overall Prize winner for his thesis project “Crossing the Thames Barrier: Adaptive Reuse of Existing Infrastructure under Climate Change”, and Karen Kwok (MArch 2018) has received a Certificate of Excellence for her thesis project “Inhabitable Infrastructure: Connection between Commuters and Community”. 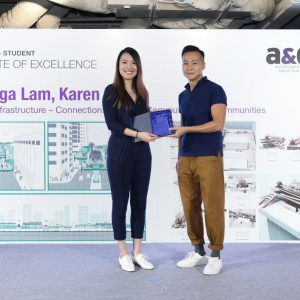 Both Derrick and Karen were supervised by Prof. Nelson Chen. 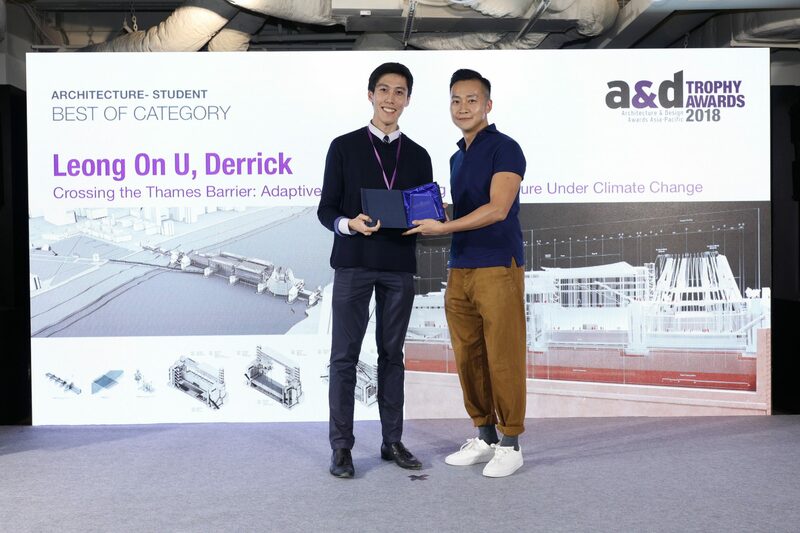 Derrick’s design investigates how adaptive reuse and architectural intervention can envision a transformative renovation for expired infrastructure, using the ageing Thames Barrier in London as a case study, whereas Karen proposes a pedestrian network system in Mong Kok to connect both physically and socially, serving not only the purpose of efficiency, but also as a slow-paced, community-led activity platform. 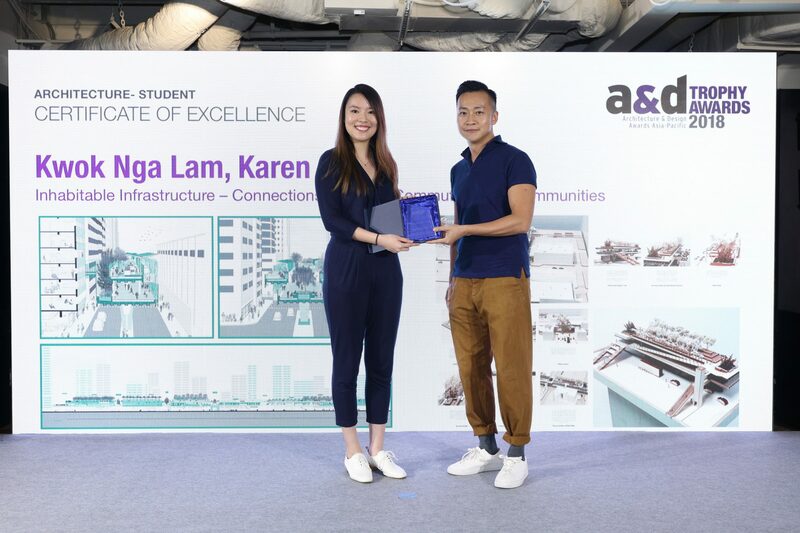 The A&D Trophy Awards were established by Perspective Global in 2004 to celebrate excellence in architecture, interior design and product design across Asia-Pacific and beyond.